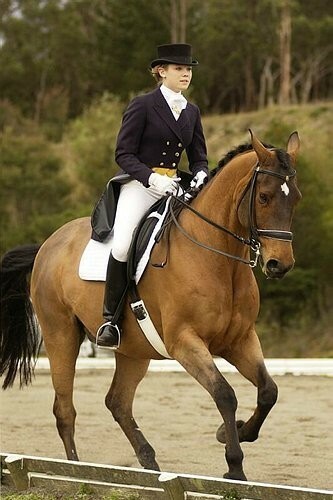 With Gab Biland at Hawkesbury Dressage, 2011. 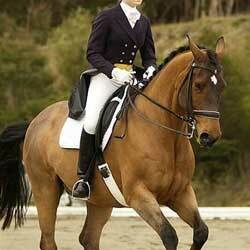 Kate Overton in Queensland kindly sold us Cyrano back in 2000, as she needed to concentrate on her young horses. By Victorieux(Imp), Sigh so impressed us that we started collecting family members, including full sister Avalonn who joined our broodmare herd, as well as full brothers Rhodes and Cassius. 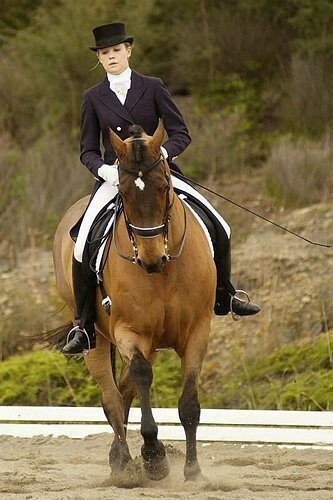 Highlights of Sigh's career with us have included helping Julia win Advanced Champion at NSW Young Rider Championships, and many wins and places elsewhere up to Intermediate 1 as well. 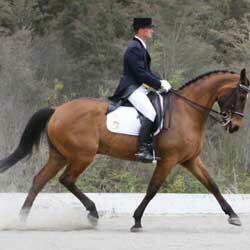 We also dusted him off for visiting Indian rider, Jay Rathore, to compete for India at the CDI*** in 2006. The pair went on to win the high-point score for international riders, competing at Prix St Georges and Inter 1. In late 2009, Sigh, now 19 years old, got dusted off yet again, to be leased by Danish rider, Susanne Soendergaard at Copabella. 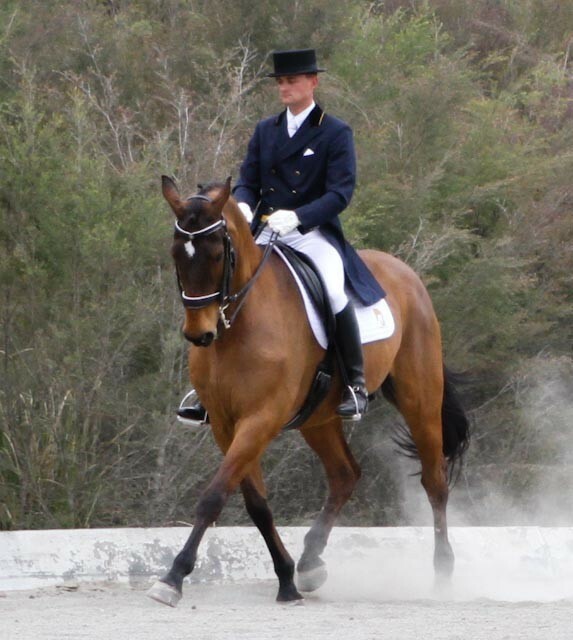 And the pair's first outing was a raging success, notching up 72% in one Elementary class at Hawkesbury Dressage to finish 2nd, and 65.75% in the other test, to finish 3rd. 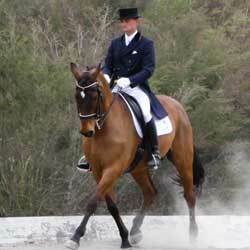 And then they were Medium Champions at Copabella Classic Dressage in April 2010. Then Susanne returned home, and Sigh went into semi-retirement once again. 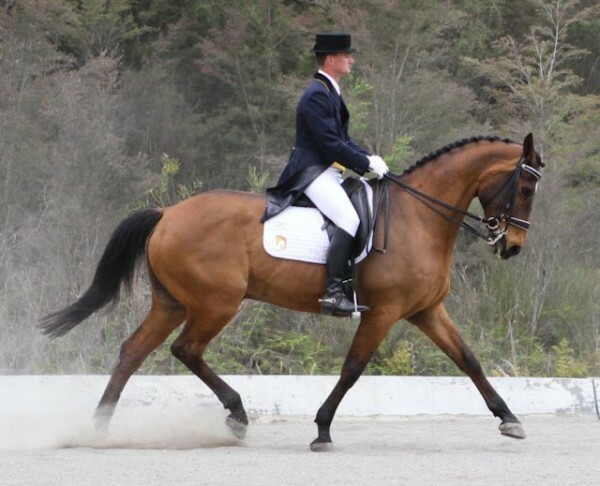 A year or two later, he was again brought up to speed by visiting German rider Max Panknin, who took him out and won once again at Prix St Georges and Inter 1. Then Max went home and Sigh happily returned to semi-retirement duties, which he is still enjoying.